I'm home from the cruise! My DH and I had a wonderful time on the cruise, lolling on beaches and drinking Coco Locos. Here's a pic of the beach at Coco Cay, our final port of call. Though it's tough to return to freezing temps after lovely 80-degree temps, it's still great to be home again. I hope everyone had a wonderful holiday. And thanks to all the guests who blog-sat while I was away! 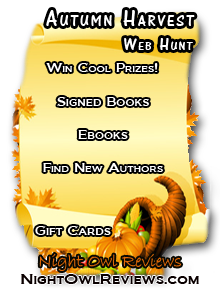 Tomorrow's the final day for Night Owl Reviews' Autumn Harvest web hunt, in which you can win great prizes from great authors! 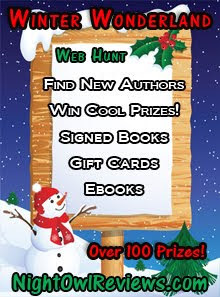 In December, you can still enter the Winter Wonderland Web Hunt. Welcome home, Cate. It sounds like you had a wonderful time. Thanks for the picture...it helps to imagine the warm, tropical breezes! Thanks so much Debra! It was wonderfully relaxing, but I am happy to be home again - snow flurries and all!